Many times, patients suffering from uncomfortable dentures or missing teeth don’t feel like any option is right for them — whether the time it takes to restore their teeth is too long or the process too painful or the patient lacks the bone density required for implants — but thanks to our state-of-the-art technique, our qualified dentists at Rockefeller Cosmetic Dentistry can offer you the perfect solution! With our Same-Day Smile Makeover, our staff is able to use dental implants to safely, predictably, and immediately stabilize your existing denture or replace your missing teeth. 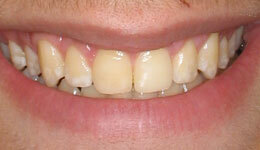 This process, is truly leading-edge in the prosthodontics field. Thanks to our low radiation 3-D X-ray with virtual reality 3-D software, we are able to plan implant placement precisely, which allows for teeth placement at the time of surgery. That means our procedure is as minimally invasive and painless as possible and you never have to suffer without teeth during the process. Best yet, you get to walk out with a beautiful new smile on the exact same day! 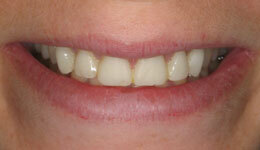 What is the Same-Day Smile Makeover procedure? Our Smile Makeover is a restorative procedure that uses implant anchor(s) to immediately attach a provisional crown or bridge, allowing you to receive non-removable teeth that look, feel, and function like natural teeth — all in one day. In addition, it eliminates the need for uncomfortable removable dentures. Traditionally, dental implants are allowed to heal 3 to 6 months before the crowns are attached and the whole process of getting new teeth could take upwards of a year! This is not the case with our Smile Makeover! On the day of your implant surgery, you will go home with a temporary set of teeth attached to your implants. 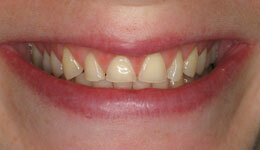 After several months, you will return for construction of the full set of your permanent teeth. At the end of each appointment, you will leave our office with teeth — every time. Am I a Smile Makeover candidate? The most dramatic benefits of Smile Makeover are experienced by patients whose teeth are loose and unsightly, but because of fear have shied away from dental treatment. Patients who have struggled with denture wear and discomfort, bone loss via periodontal (gum) disease, or those with missing teeth from congenital loss or as a result of a trauma also would reap the benefits of this procedure. 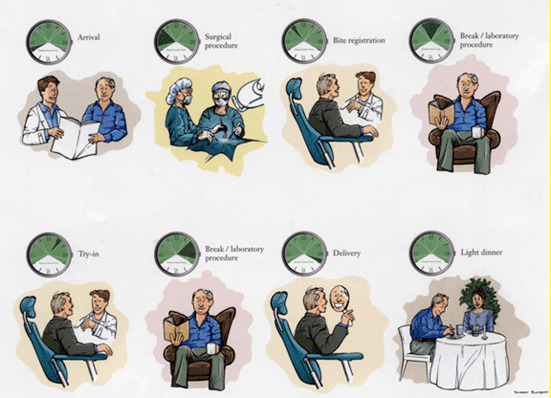 If you find yourself to be one of these patients, fear no more! With our Same-Day Smile Makeover, you will enjoy newfound self-esteem from your new teeth and the fresh feeling we provide by removing cavities and bacteria from your mouth. Whether replacing a complete arch or a single missing tooth, we pride ourselves in providing all our patients with vibrant, healthy, gratifying smiles! Less time. Specifically, we reduce the time of you getting new teeth from 6 to 12 months to just one day! Just as effective. Peer-reviewed studies show comparable results to conventional methods (with less time, even!). More comfort. 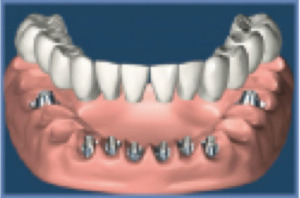 Patients report a dramatic improvement to their ability to chew, the security of the implant, and overall comfort. No more painful denture use. Eliminates uncomfortable dentures rubbing sore, healing gums by providing temporary fixed teeth every step of the way. Recovery feels better. 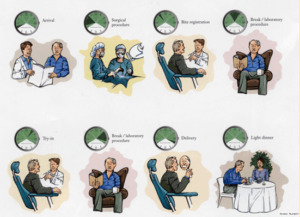 Compared to traditional methods, patients report less discomfort during the recovery period. Self-esteem and confidence boosting. Since our process always ensures our patients leave with teeth intact, they maintain confidence throughout the whole process! 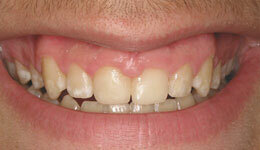 Click here to see a patient study we performed on a man who was suffering from a missing tooth. 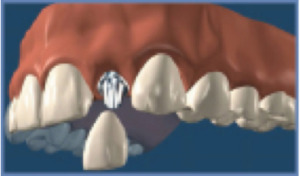 With our state-of-the-art metal-free zirconia implant, we were able to immediately attach a dental crown and get the patient back on the street with a perfect set of teeth! Schedule Your Same-Day Smile Makeover Today! Say goodbye to your fears and hello to your new teeth! It’s possible for you to walk out of our office with a smile on your face thanks to our innovative treatment plans. Our Rockefeller cosmetic dentists not only ensure the overall health of your teeth and the durability of your dental work, but also enhance the overall appearance of your own personal calling card — your smile. Remember, we specialize in making smiles last! Call us today at (212) 581-1091, or click here to schedule your free dental implant evaluation with one of our exceptionally qualified New York cosmetic dentists.